PHOTO! 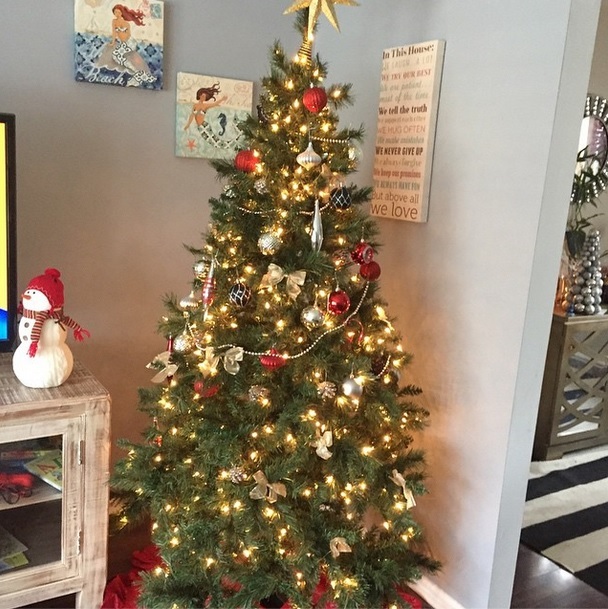 Check Out Kailyn Lowry’s Christmas Tree! ‘Teen Mom 2’ star Kailyn Lowry is openly an atheist but her husband Javi is a man of faith, so it’s not surprising that they are celebrating Christmas. We saw Kail celebrate Christmas with a tree on Teen Mom 2, but she later stated on Twitter that she did what she was “told to do,” without much further explanation. Despite their religious differences Kailyn totally embraces Christmas, she shared a photo of their Christmas tree on instagram. “This is what happens when you have 2 kids and 2 dogs. They take all the ornaments off the tree that are within arms reach…….. Maybe instead of presents Santa will just come replace the ornaments,” Kail explained. Previous Previous post: Robbie Kidd ADMITS to Affair with Leah Calvert!